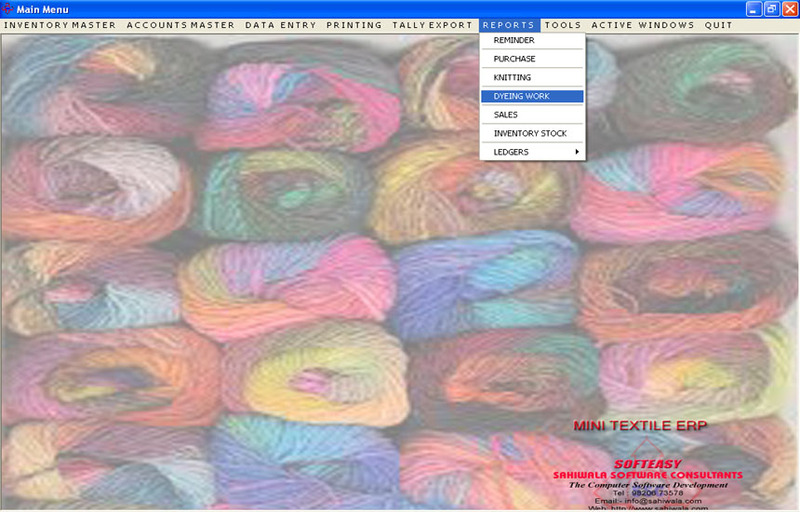 The Textile Knitting software allows to do Data Entry of Purchasing Yarns such as example of Items : 0/30 COMBED HOSIERY AUTO CONED, 1/30 P/C 20/80 (92121), 30 100% COTTON SEMI COMBED, 75/34 SD RW NIM 1ST with the following details of Manufacturer Name, Comission Agent and the item details with GST Invoicing. 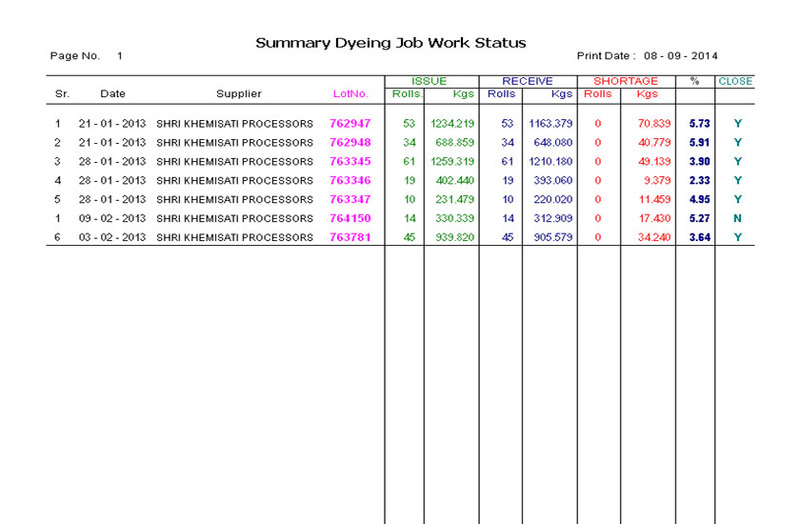 When the Second Process is complete the Rolls is generate with the following Automatic Numbers. 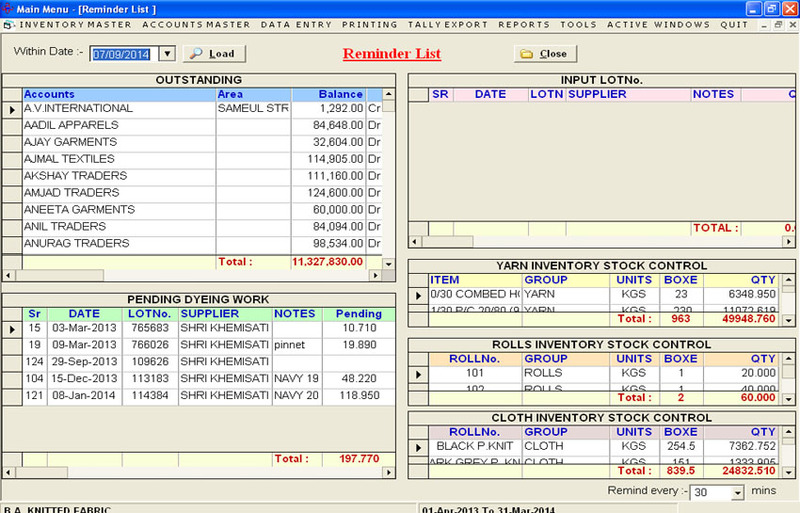 such as 100, 101, (5 kgs) and it is stores in Inventory for Rolls (Available) and deducting Yarns from Inventory Stock, The Textile Knitting Inventory software calculate in Inventory Stock in KGS. 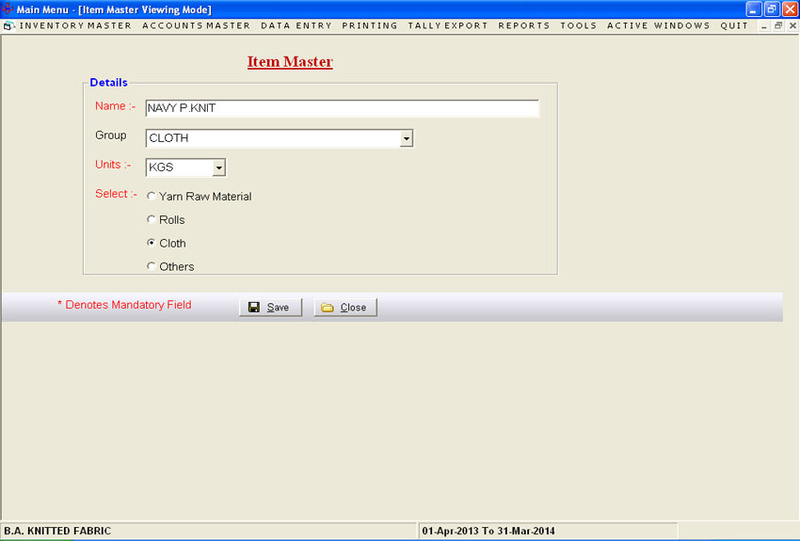 The Tracking of inventory of rolls are also maintened and against that the stock of the finished product that is fabric are also tracked in the software. 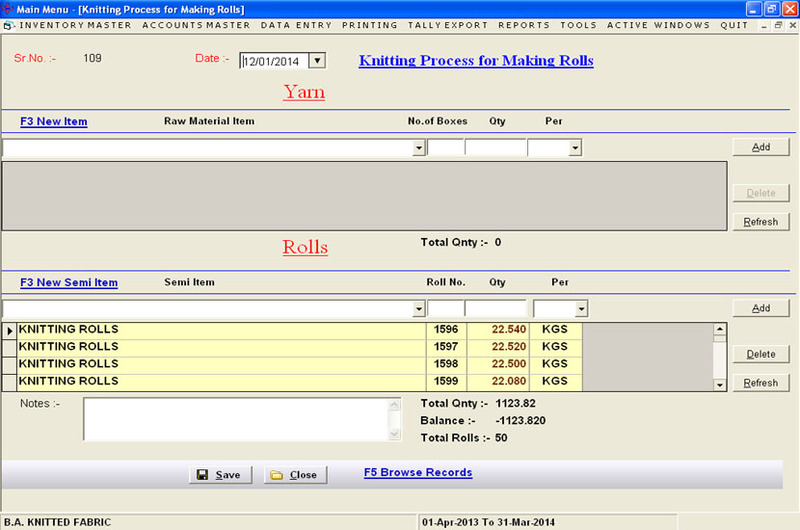 The Textile Knitting software allows to submit the following Dyeing Jobs from Rolls to Fabric. 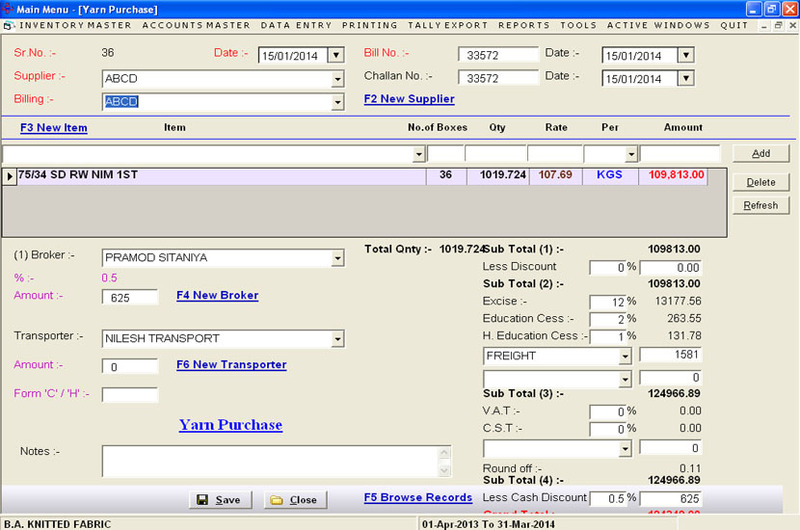 it keeps a track of Inventory for Rolls with the Supplier (Job), Balance wise, Datewise Wastage wise with the following percentage. 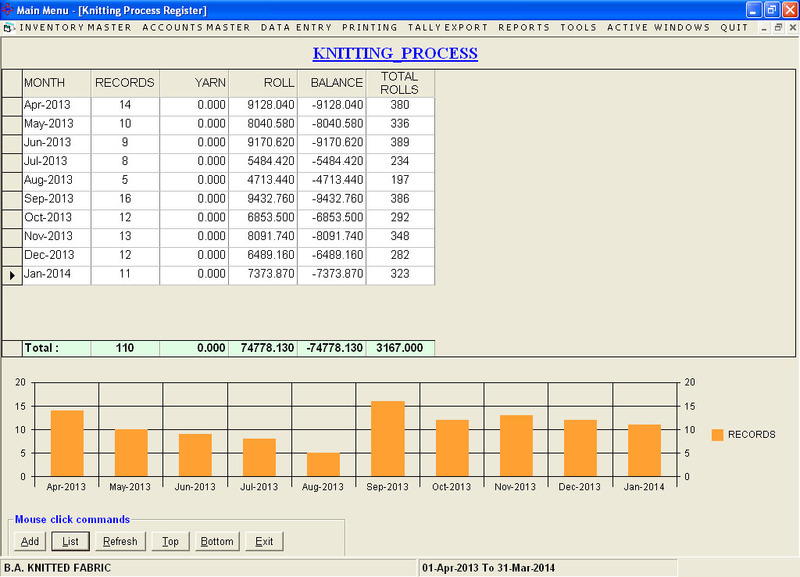 When the Third Process is ready The Textile Knitting software will kept ready for Fabric Inventory and it is available for Sales.The Textile Knitting software makes the overall process ready, efficient, Daily Reminder keeping a track of Inventory Stock items, Outsanding Dues Payables and Receivable, Purchase Reports, Sales Reports, Job Work wise Reports, Job Order wise Reports, Balance job wise Reports, Accounting Ledgers so on. 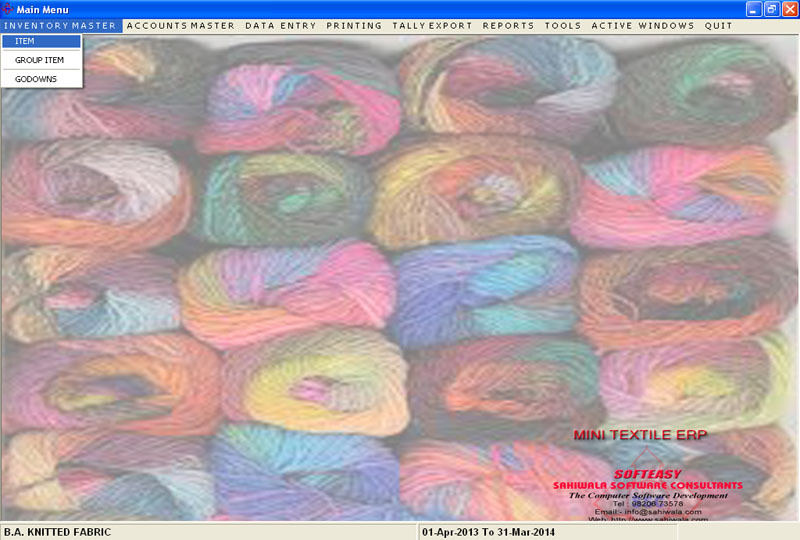 The Textile Knitting software is user friendly, Safe, while other Vendor Softwares fails for keeping Inventory Stock Yarns, Inventory Stock Rolls, Inventory Stock Fabrics and unresolve Daily Reminders. 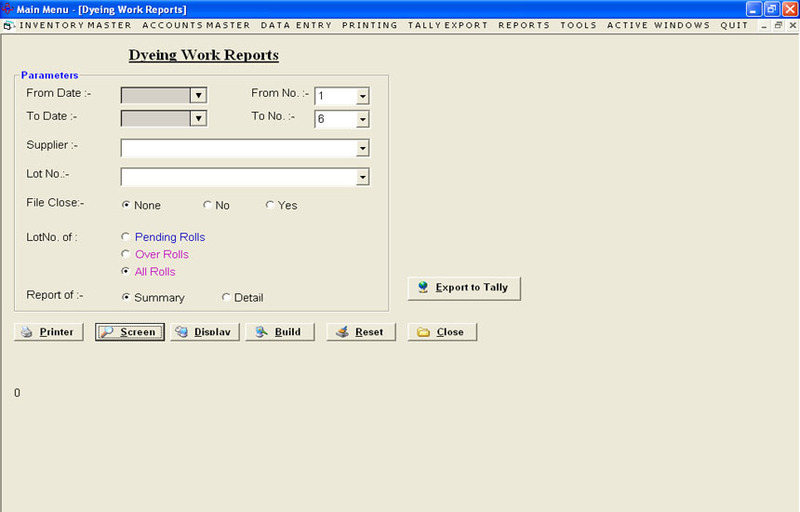 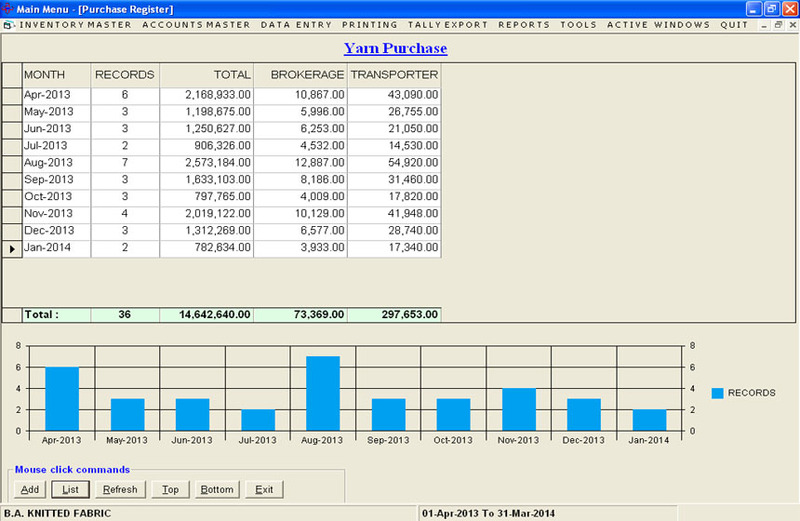 Data Export Tally ERP, Export to Microsoft Excel, XML, Text and etc. 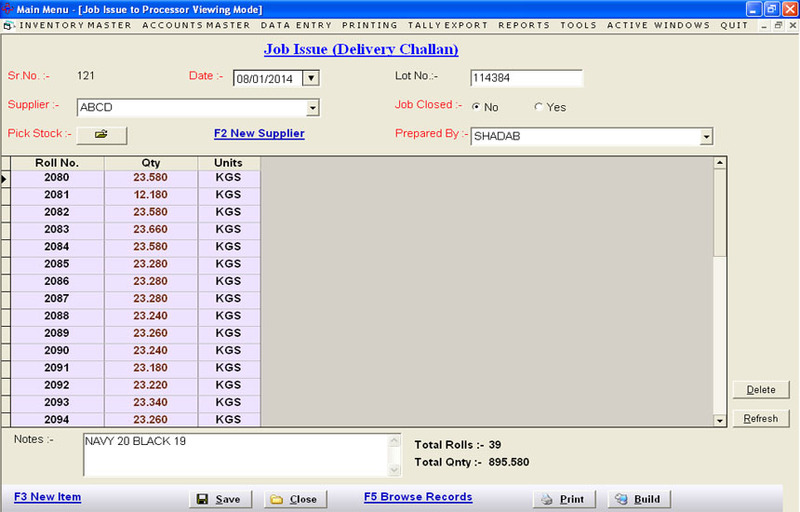 Excting Features while others Fail.